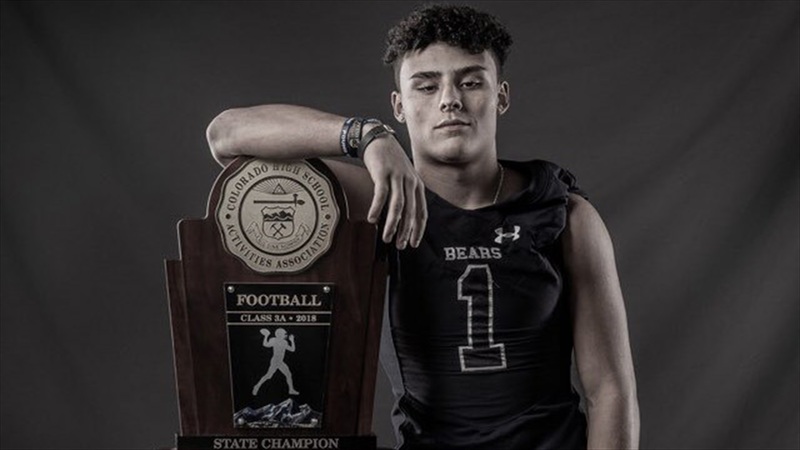 Kaden Dudley‍ is a prospect to keep an eye on and Notre Dame will get a good look at the 2021 Colorado receiver when he visits South Bend on Thursday. “I’m just getting started with the recruiting process,” the 6-foot, 195-pound sophomore said. “I got my first offer (from Colorado) in February. The Palmer Ridge High School standout comes into the visit with a strong appreciation for the school. He’s looking forward to seeing the campus for himself. “I definitely want to meet the coaches and get an overall vibe of the campus and everything,” he said. Dudley has already taken visits to Colorado and Colorado State, who offered him this past Saturday. He has plans to get to Ohio State and Utah in the future. Dudley believes his frame and athleticism has caught the attention of college recruiters. When he’s making his final decision, Dudley will be looking at more than athletics. “Sports won’t be around all of the time, so I need to make sure I have a good degree as well,” said Dudley, who is thinking about majoring in Sports Marketing.